Within quarter 2 of 2013 Financial Conduct Authority (FCA) has started to approve UK based equity crowd funding platforms. This is a big step for the emerging equity crowdfunding market and provides both investors and businesses with the confidence required to embrace this new financial movement. The FCA is still being relatively restrictive in these early days. The key restriction is that investors are required to self certify themselves as being a high net worth individual or experienced investor with a view to protect individuals who may not be aware of the risk involved when investing in small and medium sized enterprises. The UK has the perfect landscape for equity crowdfunding with all company data available through the Companies House open data policy. London is an international hub for finance and innovation and the UK government are seemingly supportive of alternate investment channels. The volume of investments through equity finance within the UK is still relatively low, at around £15,000,000 per year however based on historical data this value is growing exponentially and if expansion continues with the establishing of new platforms and investor adoption it could easily become a main stream source of finance for small and medium sized businesses. According to the British Venture Capital Association (BVCA) there are estimated to be 3000 small and medium sized business who could qualify for venture capital but due to complications with expensive due diligence processes and the perceived high risk of investing in smaller businesses only around 425 per year receive the required venture capital, equity based crowdfunding can solve this. Choosing the right platform is critical for your equity crowdfunding campaign success. 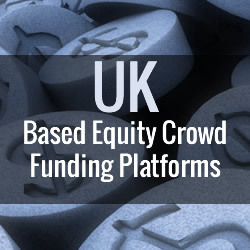 There are a handful of UK based equity crowdfunding platforms that offer slightly different services and focus. Some focus on industry niches such as tech start-up’s or environmental projects only. 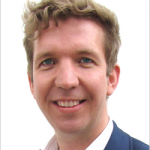 Platforms such as Propagator, www.thepropagator.co.uk, is a hybrid of equity crowdfunding and growth consulting service to support businesses after they’ve been successfully funded. This new equity crowdfunding model is in the interest of both investor and business as the likelihood of the business achieving their growth ambitions is greatly improved. It has also become apparent that when running an equity based campaign it is critical for the business owner to drive the campaign and not just rely on the pre existing platform investor audience. Business owners must get their digital marketing hat on to ensure they drive awareness about their campaign and ultimately generate investments. Key elements to ensuring the content of the equity campaign are: A) To maximise the level of engaging content such as a pitch animation or video to grab the interest of investors B) To ensure that the detail around the business is contained within the business plan and C) The exit strategy should be clearly thought through, are you going to pay a dividend to shareholders or are you going to aim to sell or float the company. Investors really need to understand what they are getting for their investment. A combination of equity and rewards can also help entice an investor into making an investment so rewards should be clearly thought through. So it’s an exciting time for both investors and businesses and it will be interesting to see how this new finance movement will disrupt more traditional ways of investing and raising finance. Before setting up Propagator Ventures Chris's most recent work was at the BBC where he was working on a programme defining the global digital content distribution strategy and implementation. Chris comes from a background in digital communications and has worked on a number of high profile projects such as the development of Barclays Stockbrokers trading platform and the delivery of Richard Branson’s online fund raising site Virgin Unite. Chris also has an established background in digital marketing and has led multiple global digital communication programmes for organisations such as The Coca-Cola Company and Sony.